We’ve all seen them … television bloopers, fashion faux pas, and decorating disasters. Well guess what? We have a few embarrassments in our industry too. 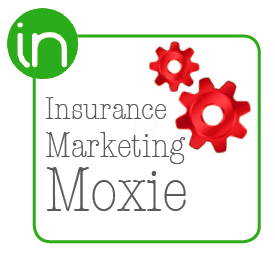 In fact, even the best insurance marketing professionals occasionally get caught making novice mistakes. Here are five seemingly innocent mistakes to learn and avoid! #5: Forgetting the headline. From sales sheets to web pages, it’s shocking to see how many insurance marketing pieces greet the world with NO headline. This is the equivalent of showing up for work with no clothes – it should not be done! The headline is an essential attention grabber and it facilitates a pivotal decision point – when the reader decides whether to delve into the body copy or to go refill her coffee. If your piece is missing its headline, the coffee will win every time. #4 Ignoring the close. Great salespeople never forget to ask for the sale and great insurance marketing pieces don’t neglect this important point either. Every marketing piece needs to invite the reader to take a next step. Often it’s a small next step such as “Learn more at …” or “Download our free guide here …” The reader will never take a next step, unless you ask. #3 Losing face. In this case the term “face” refers to your corporate identity. It’s hard to imagine, but sometimes us marketers are so busy crafting the perfect headline that we forgot to show our logo and contact information! In other cases, we forget to reinforce or corporate style standards, and put something out that does not comply. Always give your piece the final “face” check. #2 Using an image or word with an unintended meaning. We’ve all heard the story about the car known as the “NOVA.” When marketers set out to present this wonderful vehicle to the Latino audience, they had no clue that “nova” means “no go” in Spanish. Yikes. Unfortunately mistakes like this happen frequently. Always watch for unexpected language and cultural nuances. See something missing here? That’s right. I didn’t shake your hand or even ask for your name. I just assumed that you wanted to know about ME. Think you would never do something like this in your marketing? Think again! In fact, many well-intentioned marketers start their pieces with a giant logo at the top, and an “all about me” headline that includes the company name. And they don’t stop there. They follow the “all about me” headline with countless “all about me” paragraphs. This is huge mistake – and the equivalent of the social disaster I just described. Here’s to blooper-free insurance and B2B copywriting!